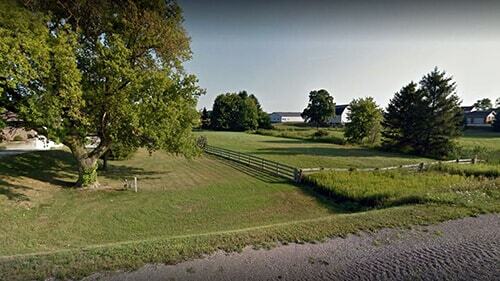 Control metal debris around trucking terminal sites. Truck yards, loading dock areas, cross dock facilities, really anything to do with truck unloading and loading always has metal debris problems due to a multitude of sources. First of all there is the trucks themselves, and yes like most pieces of equipment, pieces fall off. 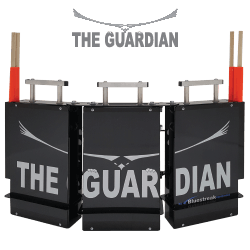 Then there is the material handling equipment which the same is true of. Then there is the cargo loads which can be banded and contained in some fashion and somehow some of this material makes its way around the facility, then there is the pallets, they get broken, and the nails that held them together get scattered around. Somehow it all happens because when you walk a loading dock area there is plenty of debris. Controlling the metal debris is easy with a magnetic sweeper. Given the cost of truck and forklift tires, and the cost of any delays it just makes sense to keep the metal debris under control especially considering the small cost of doing so, and the fact that most of the time this can be done without extra labor costs, simply by attaching a magnetic sweeper like the Forager to forklifts to take care of most of the problem. 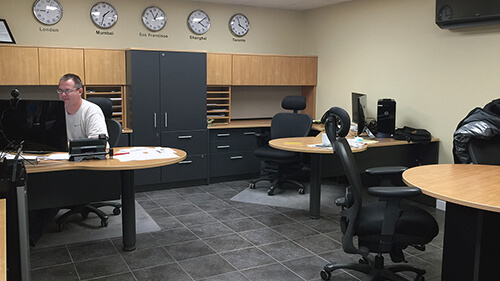 The metal debris in trucking terminals is normally considered light to moderate but the need for control is considered moderate because the type of debris can damage tires and cause truck downtime and delays. There are many different trucking terminals and yards that exist, that is many different locations and types of trucking terminals, some with gravel, others paved, some are smaller, others larger. What do the staff of Bluestreak have to say on the subject of trucking terminal magnets? It almost always makes the most sense to attach a magnet to a vehicle that is already operating in the area on a daily basis because it doesn't cost any more in terms of labour costs which is the biggest cost of removing debris. You have several strategies or approaches for picking up debris at a trucking terminal that will affect your choice of magnet type. By choosing a hanging magnet and attaching it to a yard or shunt truck your strategy is to have a piece of equipment already operating in the area to do the sweeping while it's doing it's regular work. 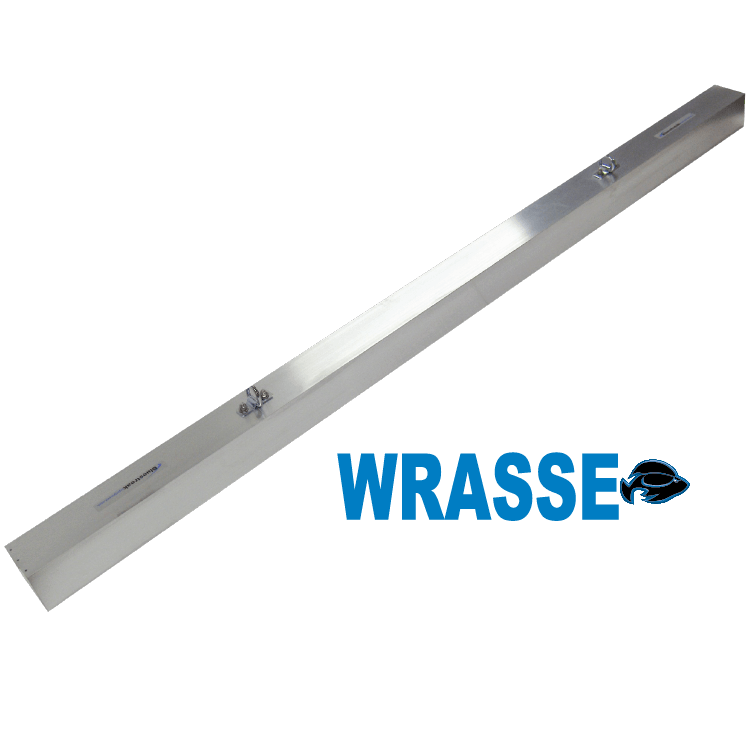 By choosing a push type magnet you're opting to have someone specifically sweep the area and you spend less on the magnet and more on labour. 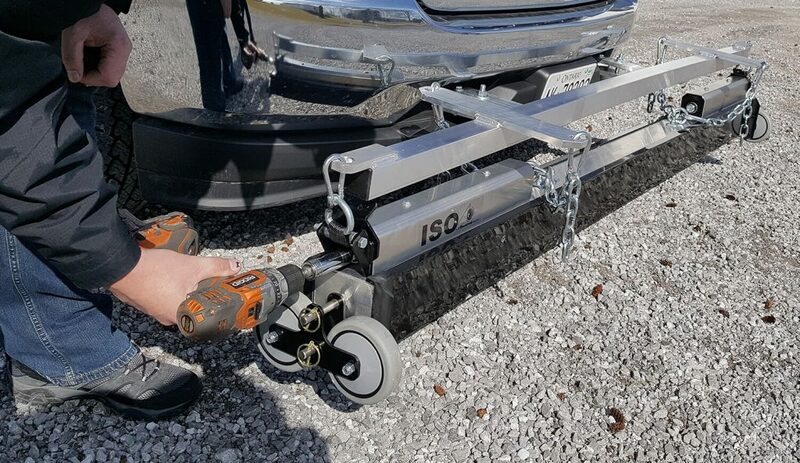 By choosing a tow behind magnet you're choosing to have someone spend the time to specifically sweep the area but to balance that labour cost with a more expensive magnet than a push magnet so that the task can be done faster. 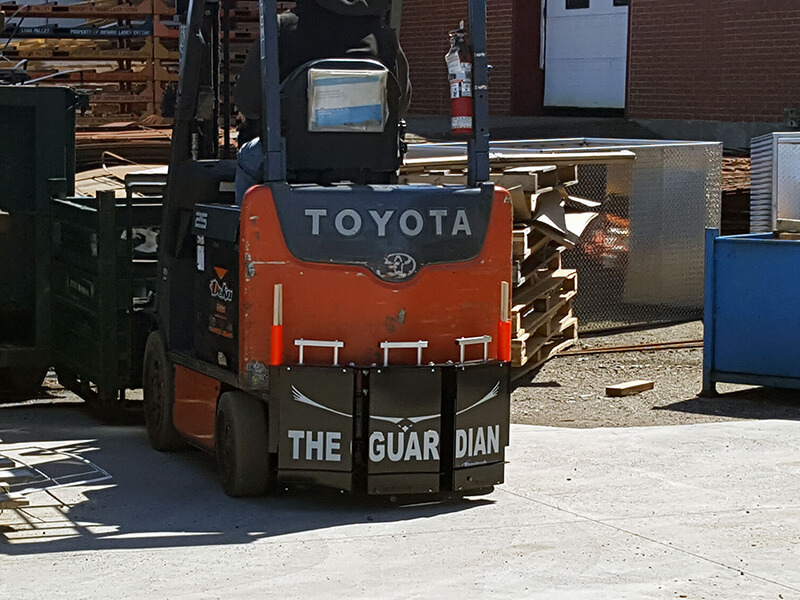 By choosing a rear mount magnet and attaching it to a forklift, your strategy is to have a piece of equipment already operating in the area to do the sweeping while it's doing it's regular work. 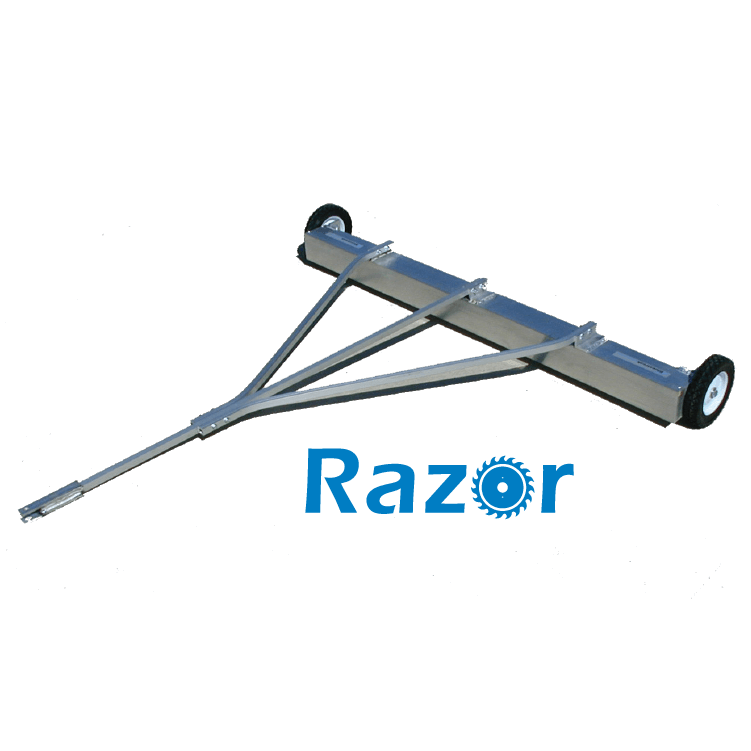 The Razor 3" x 3"
The Razor 4.5" x 4.5"
Just one strategy may not be enough. 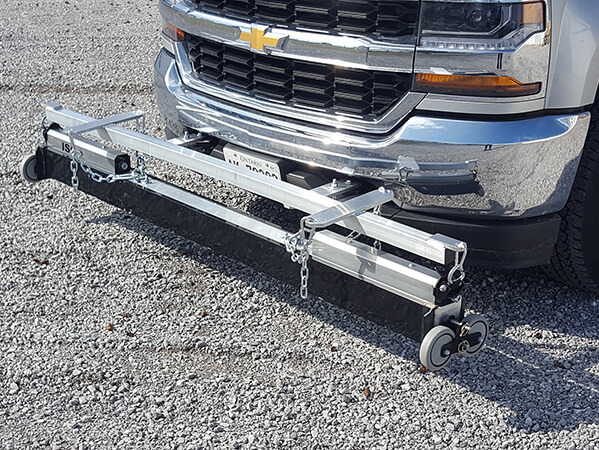 For example, you may need one for large outdoor areas such as a hanging magnet on a shunt truck, a rear mount magnet on forklifts working in a separate area and a push magnet for hard to get to spots close to dock areas. 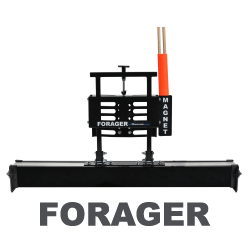 The Forager magnetic sweeper is fully adjustable to fit almost every brand and size of forklift on the market right out of the box. 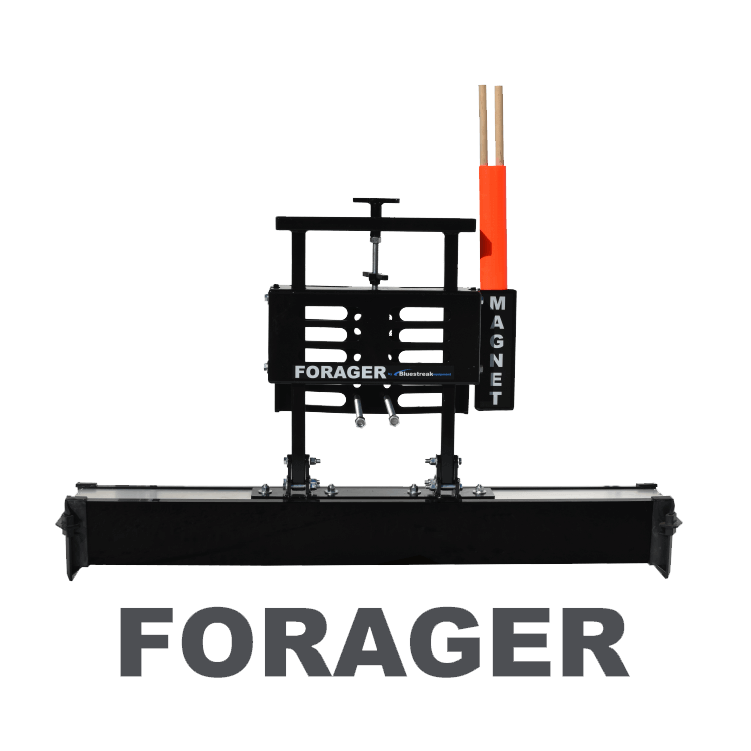 The Forager comes in 5 sweeping widths, multiple installation bracket positions combined with adjustable sweeping height. 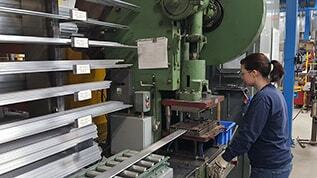 The fitting options ensures different height and sized forklifts of every kind are accommodated. 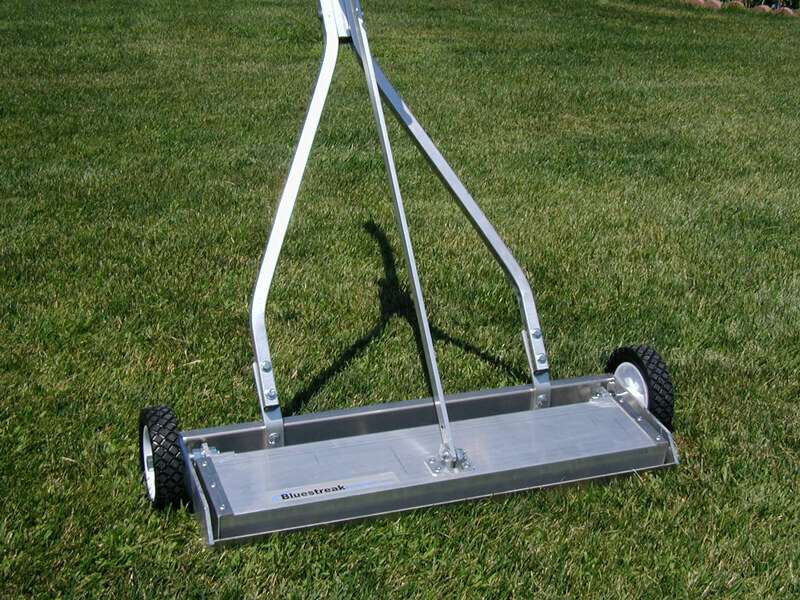 The Razor magnetic sweeper is designed with total economy in mind. To keep everything as simple as possible, with no extraneous extras…to be a simple magnet on wheels. 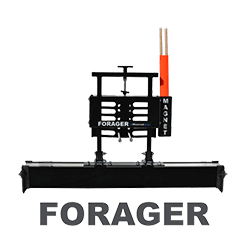 Easily tows behind forklifts, ATV’s, tractors, mowers or utility vehicles. 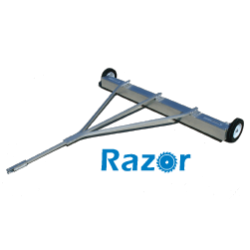 The Razor was designed with total economy in mind. The Razor was designed only for flat surfaces like parking lots, therefore it has the wheels on the end. 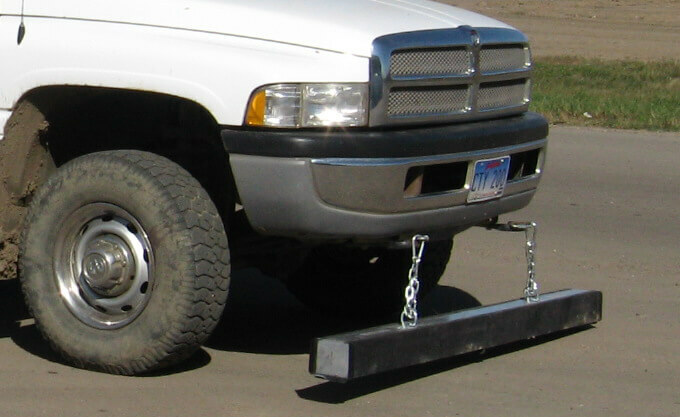 Designed with a simple wagon style hitch. Severe Duty Tow Behind Sweeper! The Aurora magnetic sweeper is a flat surface magnet with the perfect balance for a commercial manufacturing shop environment. 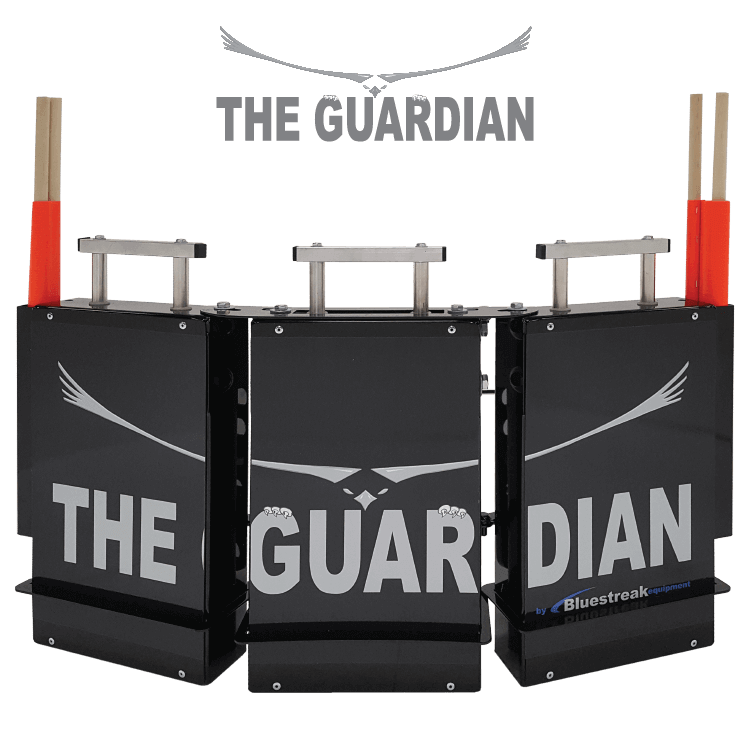 It has just the right features; no height adjustment which wouldn’t be used anyway, easy clean off, and just the right power with medium pick up power. 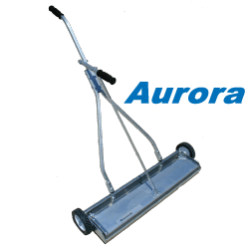 The Aurora is available in a narrower 19 inch sweeping width so it is easier to manoeuver around shop equipment and buildings. Attach to Equipment You Already Use. The Wrasse magnetic bar is extremely versatile and can hang from almost any piece of equipment as long as the ground is fairly even. 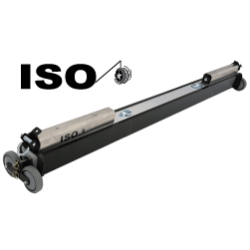 As long as the magnet doesn’t hit the ground all the time it functions very well allowing the equipment operators to clean environments while they do their normal tasks. 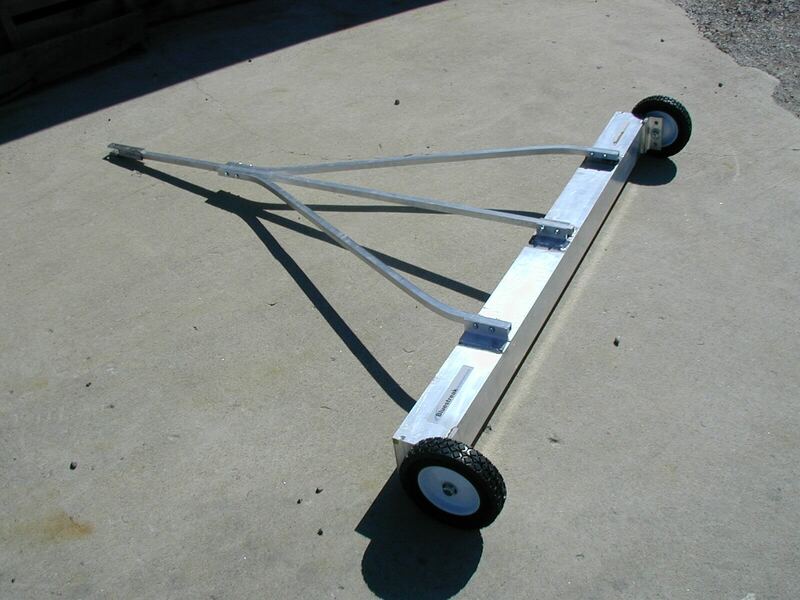 Hang the Wrasse under your parking lot maintenance equipment or small utility vehicles. As the vehicle travels the parking lot it is also picking up metal debris continuously. It allows you to clean the parking lot while you go about your regular chores and routine. And thanks to the optional Quick Clean Off Sleeve accessory for the Wrasse 4.5×4.5 model, it’s possible to clean the Wrasse off quickly and easily while the magnet is still in its hanging position underneath a piece of equipment. The ISO magnetic sweeper is a hanging magnet design specifically designed for cleaning large flat surface areas. 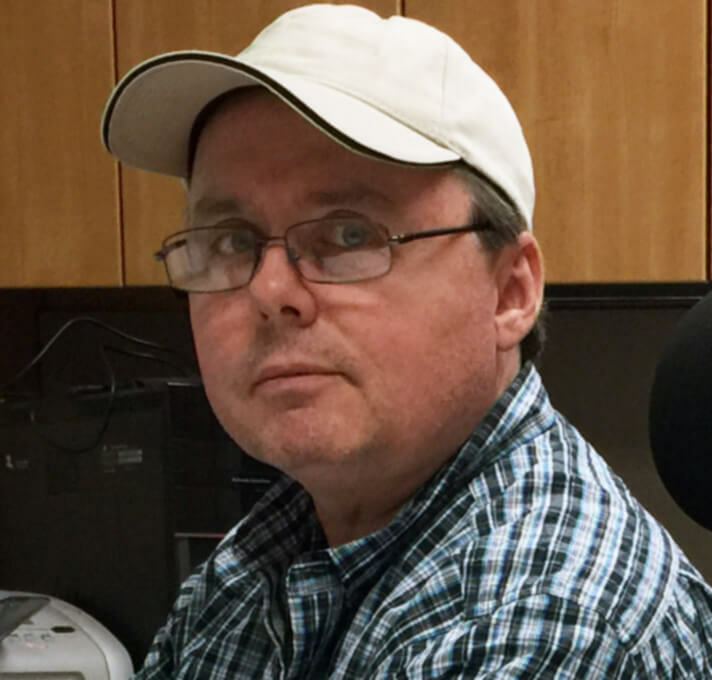 Maximum Lifting Height 8 1/2" 7 1/4" 6" 8.5" 4 1/2" 4 3/4" 6" 8 1/2" 9"
Sweeper Widths 26" , 32", 38", 44", 50" 33" 38", 50", 62", 74", 96", 98" 38", 50", 62" 19", 25", 31" 26", 38", 50", 62", 74", 86", 98" 26", 38", 50", 62", 74", 86", 98" 26", 38", 50", 62", 74", 86", 98" 62", 74", 86", 98"
Sweeper Height Adjustment Continuous Adjustment Yes, in 1 inch increments Change height by moving axle hole position. Three sweeping height settings of 1”, 2” or 3” Change height by moving axle hole position. Three sweeping height settings of 1”, 2” or 3” None Change suspension height by rising or lowering the chains to a maximum height of 3". 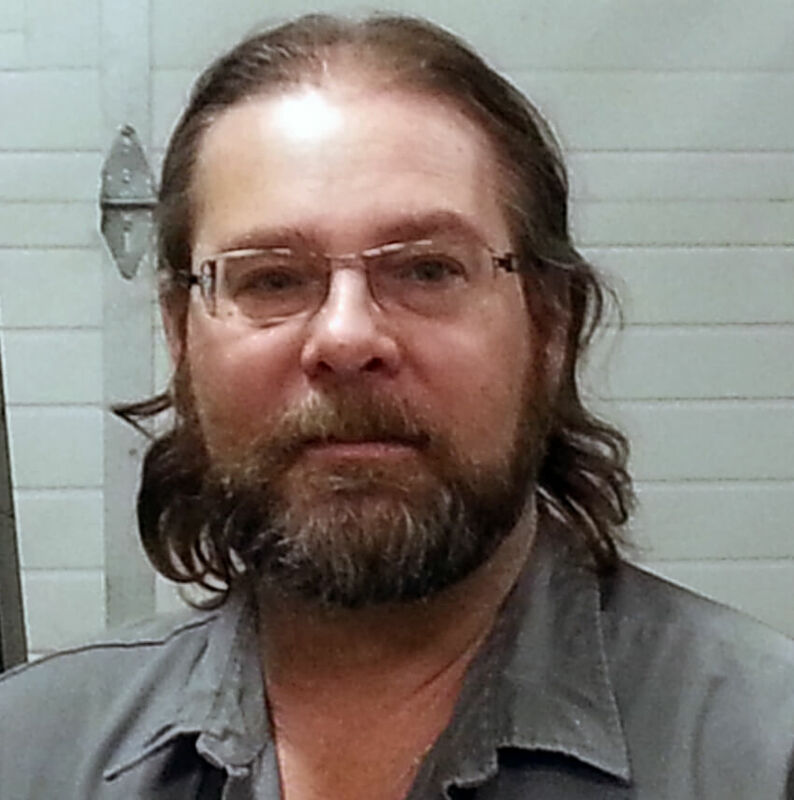 Change suspension height by rising or lowering the chains to a maximum height of 4". Change suspension height by rising or lowering the chains to a maximum height of 5". Continuously adjustable. Sweeper Wheel Type None None Steel 8" ball bearing wheels Steel 8" ball bearing wheels 6" Plastic Wheels None None None 5” Dynatread Thermoplastic Rubber wheels with polypropylene hubs and 5/8 inch ball bearings rated at 300 lbs capacity each.